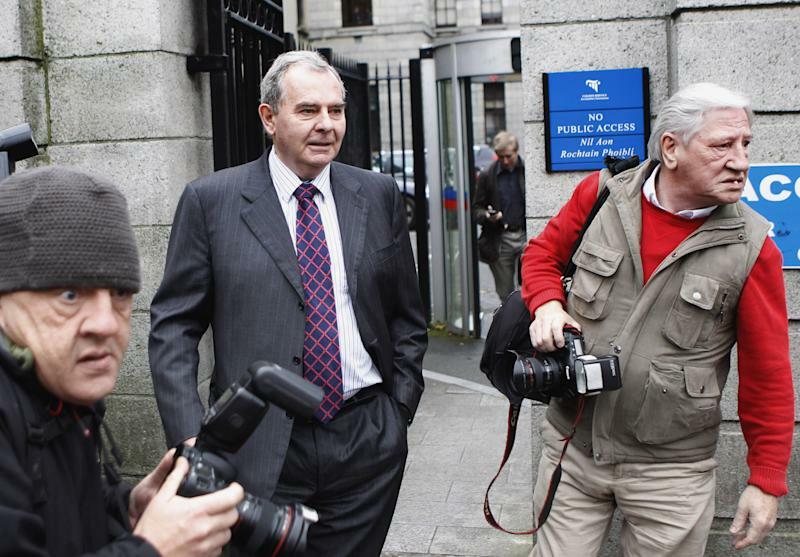 DUBLIN (AP) — Bankrupt tycoon Sean Quinn, once Ireland's richest man and a celebrated self-made billionaire, was sent to jail for nine weeks Friday after a judge found him guilty of stripping foreign assets from his crumbling business empire in violation of court orders. As police were about to lead him off to jail, Quinn offered an angry and defiant apology, insisting the billions he owed was a minor matter compared to his family's loss of wealth, status and control of still-viable businesses. "Did I make mistakes in the last two years? ... Yes, I did. Do I apologize here now in public for that? Yes, I do," he said. "Is it small fry compared to the overall assault that has been launched on us, and taking over our companies and destroying them? It's an absolute disaster." Quinn, 65, could have appealed High Court Justice Elizabeth Dunne's sentence to the Irish Supreme Court. But after a lunch break spent in discussion with lawyers and his eldest son, Quinn decided to go to jail immediately at Dublin's overcrowded Mountjoy Prison. He is scheduled for release Jan. 4. Quinn's spectacular rise and fall provides the defining personal story of Ireland's 1990s rise as a property-obsessed Celtic Tiger — and its stunning collapse in 2008 when that Anglo-driven construction boom turned to bust. But fatefully and inexplicably, he bet his family's riches on the continued runaway success of Anglo, the most daring of Ireland's property financiers, whose shares rose tenfold during the boom years. Worse, as Anglo's share price reversed course in the run-up to the global credit crisis in 2008, he kept doubling down, borrowing billions from Anglo itself to become the bank's top owner with up to 28 percent of its shares. 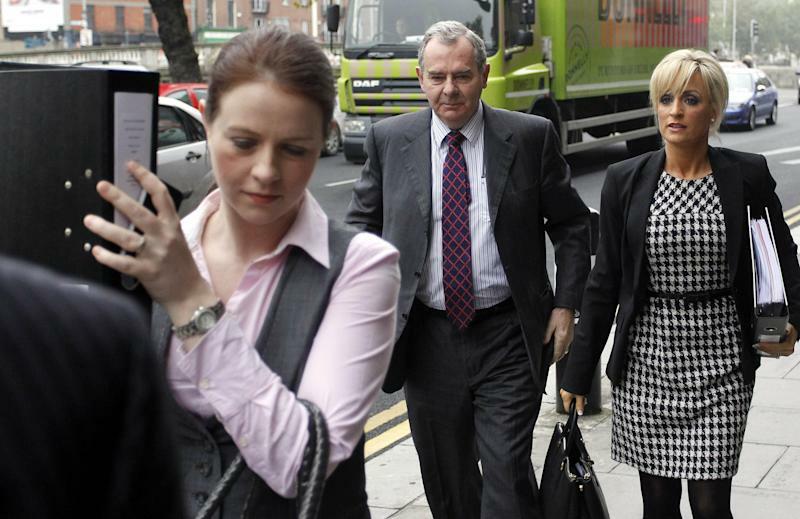 Ireland nationalized Anglo in early 2010, rendering Quinn's stock worthless and leaving taxpayers with a bill expected to exceed €25 billion ($33 billion), including Quinn's loan defaults. Quinn and his family contend in a separate, continuing lawsuit that Anglo's loans to them were largely illegal because the bank didn't disclose the true scale of its troubles, so they shouldn't have to repay them. The judge, Dunne, ruled earlier this year that Quinn's defense was incredible and evasive. She postponed his jailing to Friday in hopes his family would reverse the asset-stripping moves in compliance with more than 30 court orders. She ruled Friday this had failed to happen and Quinn "has only himself to blame." In June she ordered Quinn's son, Sean Jr., and his nephew Peter jailed for three months in punishment for their role in the Ukrainian and other asset-stripping. The son served his sentence but the nephew fled to neighboring Northern Ireland, where border communities staged several public rallies in support of the Quinns.